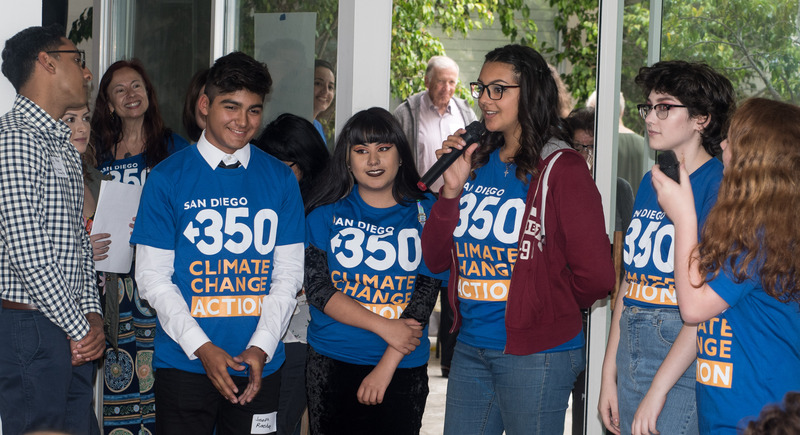 Help us build the climate movement in San Diego! What better way to give back than by investing in a livable planet? SanDiego350 is on the front lines, fighting to protect our future. We are led and fueled by our volunteers. We pursue strategic, bold, and effective climate action—mobilizing thousands of passionate advocates throughout the region. We believe a just and sustainable future is possible, and that we have the means—and the responsibility—to make it happen. Become a monthly donor. Make an ongoing commitment to fight climate change. Make a one-time donation. Support climate action and climate justice. Donate via credit card, debit card, or Paypal: Use the Paypal option to pay in any of these ways. Donate by check: Make your check payable to SanDiego350 and mail it to SanDiego350, c/o Simon Mayeski, Treasurer, PO Box 420996, San Diego, CA 92142. Contact Us: Questions? Problems? donations@SanDiego350.org. SanDiego350 is a 501(c)(3) non-profit organization; your contribution is tax-deductible to the full extent allowed by law. Tax ID # 46-2118727.